If your mother told you that using baking soda to clean your teeth was a good idea, she was right. Baking soda can work by balancing the levels of acid in the body, which, if elevated, can lead to health problems especially in your mouth and teeth. There are several oral conditions that can be improved with the use of baking soda and therefore, many manufacturers include it in their toothpastes. • Gum disease - gum disease is caused by excess production of plaque that can cause your gums to get inflamed or irritated, swollen, or bleeding. Baking soda can reduce the production of plaque and can help prevent gum disease. • Bad breath - also known as halitosis, bad breath is one of the most common dental problems and affects millions of people to one degree or another. Baking soda can be used to balance the levels of acid in your mouth and improve halitosis. • Teeth whitening - baking soda can remove stains in teeth left behind by things such as chocolate, coffee, tea, or red wine. It can also improve the look of teeth in people who smoke. Because of its many properties, baking soda can be a secret tool you may want to consider using in your oral hygiene routine. 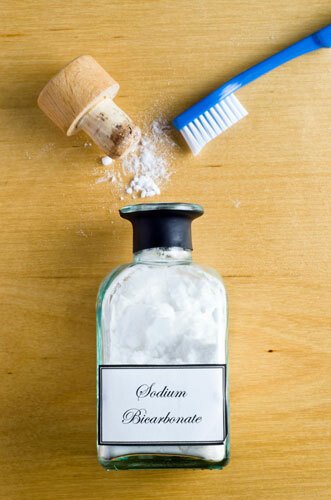 If used on a regular basis, baking soda toothpaste can help keep your mouth healthy and free of disease. You can also rinse your mouth with a solution of water and baking soda as a freshener. If you have more questions about the benefits of using a toothpaste that contains baking soda or other questions about your oral health care routine, let us know.